With BJJ becoming more popular by the day, and for good reason, it is inevitable that injuries will happen. As more people train longer and harder, their bodies will take more of a pounding and if it’s not prepared, injury may occur. 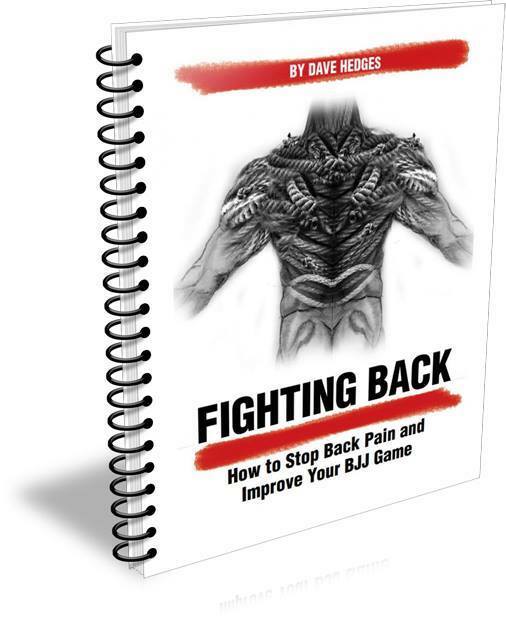 One of the more common issues we see with BJJ players is back pain. 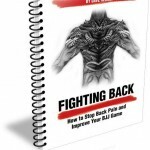 This book revolves around but is not limited to eliminating this back pain. Following the programs within the book will make you faster and powerful on the mat. Don’t be surprised if no one wants to roll with you after following this program! Injuries are common in Brazilian Jiu jitsu, as they are in all contact sports. We’re often seeing guys struggling with their shoulders and elbows from over enthusiastic submission attempts, or fingers being twisted and strained as they get caught in their partners Gi. But on an ever increasing basis I’m being asked about another, less acute injury. In fact it comes on so slowly most don’t even recognise it as an injury. Yet almost every BJJ player I’ve spoken to is suffering, mostly in silence. New players feel it and put it down to being new. Old players have it and put it down to the years of training. Recreational players feel it and assume its normal and will go away. Competitive players feel it but put it out of their heads so they can still train. But back pain is rife and if left unchecked, has the potential to limit an athletes progress, dampen their enthusiasm or worse still, cause a serious injury. Why your BJJ practice can end up hurting your back. The common postural adaptations we see in BJJ players. How your hip flexors may be killing you and how to release them. The top strength exercises for bringing the body out of pain and preventing injury. 2 day, 3 day and 4 day per week training programs. An equipment free bodyweight only training program for those who don’t use a gym. How to Warm Up correctly to prepare the body for action while addressing the common injury sites. What have other said about Fighting Back? What can an office worker teach us about BJJ and back pain? How to warm up, how to get strong with just bodyweight exercise, 2, 3 and 4 day weight training programs and MORE.